If your big resolution this new year is to kick your bad habit of lighting up, we’ve got some inspiration for you in the form of 10 surprising celebs — think Jennifer Aniston! — who managed to nip their smoking habit in the bud. Once a chain smoker, Olympus Has Fallen actor Aaron Eckhart kicked the habit for good through The Kerry Gaynor Method, a unique program by renowned hypnotherapist Kerry Gaynor. Cameron Diaz may be super health-conscious now, but in the ’90s the actress was puffing up to 20 hand-rolled cigarettes a day. She says good old-fashioned guilt ultimately helped her quit. She certainly has a wholesome image these days, but it wasn’t too long ago that Jennifer Aniston couldn’t seem to say goodbye to cigarettes. She’s nicotine-free now, though, which she credits largely to her devotion to yoga. We think she’s always looked great, but in her early modeling days Gisele Bundchen says she relied on cigarettes to help her stay thin before quitting in 2003. Although she gained 15 pounds in the process, she says it was worth it. She’s built a reputation over the last decade for being the queen of clean living, but GOOP mastermind Gwyneth Paltrow used to indulge in a two-pack-a-day cigarette habit. She broke it (for the most part) by going cold turkey. Wonder what Katie Cassidy’s dad — former teen heartthrob David Cassidy — thought of his daughter smoking? Regardless, they’re undoubtedly both happy the Arrow beauty quit, thanks to The Kerry Gaynor Method. 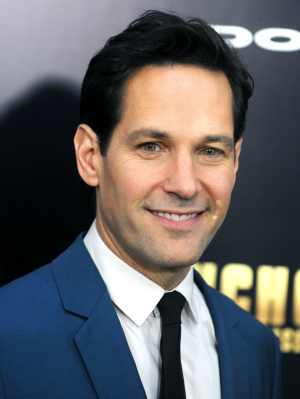 Not only was Paul Rudd able to quit smoking with the help of hypnotherapist Kerry Gaynor, but he has also helped others — like Parks & Rec‘s Rashida Jones and John Carter‘s Lynn Collins — by passing along Gaynor’s info. Charlize Theron is stunning, smart and talented and, like so many others, she struggled for years to boot her bad habit of smoking. Luckily, the actress nixed her three-pack-a-day fix through The Kerry Gaynor Method.